BenQ this week introduced its new display aimed specifically at professional gamers. The new monitor belongs to the ZOWIE family of BenQ’s products designed for e-Sports and features Full-HD (1920x1080) resolution as well as a refresh rate as high as 240 Hz. In addition to support for ultra-high refresh rates, the display also has other features developed specifically for gamers. 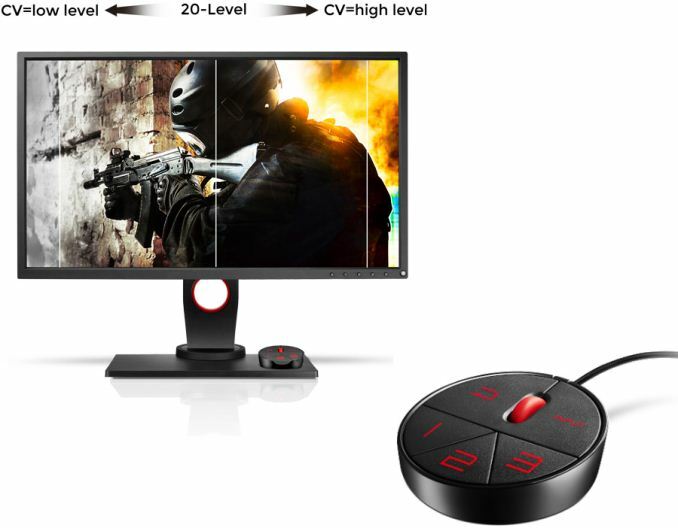 The BenQ ZOWIE XL2540 monitor has a 24.5” TN panel with a typical resolution for this size (1920×1080), support for 16.7 million (6-bit + FRC) colors as well as a typical contrast ratio for mainstream screens (1000:1). The monitor stands out when it comes to its brightness - 400 cd/m2 (400 nits) is a bit higher compared to what we usually see on TN-based devices and a refresh rate of 240 Hz to ensure as fast gameplay as possible. It is noteworthy that despite positioning, the ZOWIE ZL2540 does not support any dynamic refresh rate technology (either G-Sync, FreeSync or Adaptive-Sync). 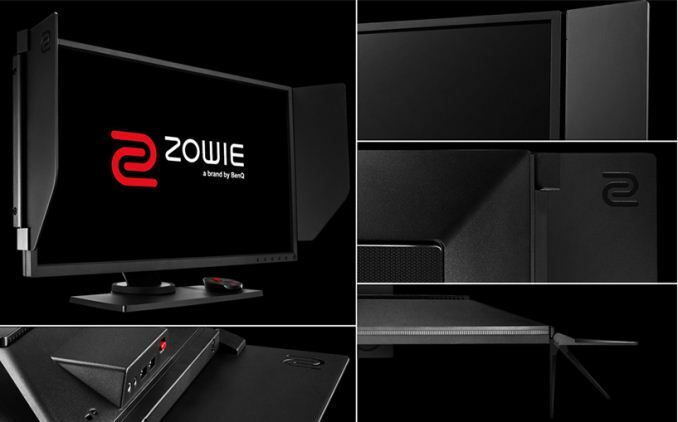 When it comes to connectivity, the ZOWIE XL2540 excels many products on the market as it can use DisplayPort 1.2, HDMI and DVI-DL (naturally, DVI does not support 240 Hz refresh rate) to connect to host PCs (nowadays many monitors are only equipped with DP and HDMI inputs). Also, it has a three-port USB hub. The display also has a built-in 55 W power supply. In addition to ultra-high refresh rates as well as improved brightness, the ZOWIE XL2540 supports several features specifically for e-Sports professionals: the Black eQualizer that increases brightness of dark areas without oversaturating the bright areas, an option to quickly increase color vibrancies, a special external controller to rapidly activate different settings and profiles as well as a light-shielding hood (which BenQ calls a way to help gamers to focus on their games). 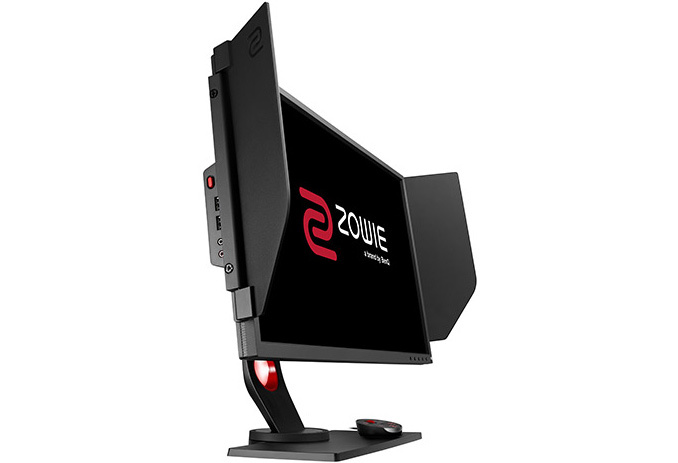 The manufacturer does not announce pricing as well as availability timeframe for its ZOWIE XL2540 just yet. The only thing that BenQ tells us at the moment is that the display will be demonstrated at trade shows from late November. Since BenQ does not produce its own panels, the ETA of the ZOWIE XL2540 depends completely on the company’s suppliers. Moreover, when the panels are available, the display will have to compete against similar products by other makers, such as the ASUS PG258Q (which has G-Sync) which has similar specifications, perhaps indicating it is the same panel.